Congratulations on your Graffiti software. You can make it do even more cool things. Check out these Add-Ons and feel free to come up with some of your own. In Picture Guessing Game, you will have a set time that you can draw for, then you can ask your friends what they think you drew. Paint All the Colors, will show you how to let the user paint in colors, other than just yellow. Tag the Town, gives the user different choices of backdrop to paint on. In Paint Remover, you will create a button that clears the screen. Choose whatever Add-Ons interest you. When you're finished, let your friends and neighbors use the software to see what they can create. 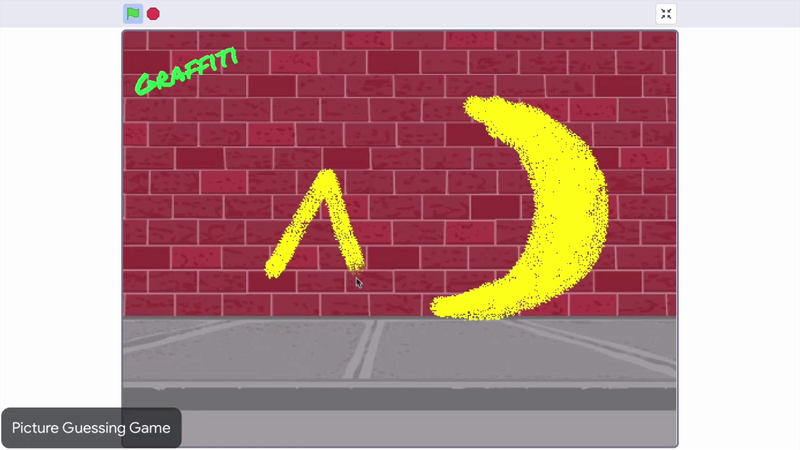 Turn your Graffiti project into a guessing game with a timer! Let the user change the paint color. Give the user different backdrop choices. Create a button to clear the screen.